Margaret and Charles Lewin adopted Isaiah as a newborn - giving the boy all the love a child could want, and everything money can buy. But can even the most loving, caring white family be responsible for raising a black child? Selma Richards is the boy's natural mother. At his birth, she was illiterate, unemployed, and a crack addict. Giving up her son was the best thing for both of them - at the time. Selma is now off drugs, learning to read and has a responsible job. She's not rich, and doesn't live in the best neighborhood, but she's healed herself. And now she wants her son back. 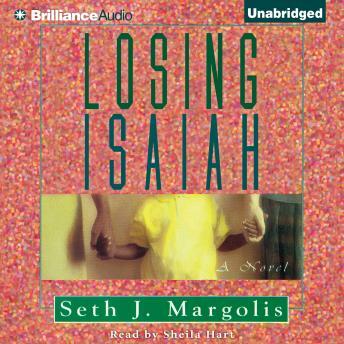 Seth Margolis raises a complex and emotional moral question while giving the listener an understanding of the pain and conflict that leads up to the inevitable heartrending conclusion in which one mother ends up losing her son.